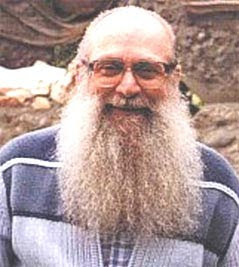 Billy Meier is another insane “contactee” who never contacted with extraterrestrials either. In addition, he faked photos of UFOs to deceive gullible people and make money in that way. His lies about a civilization in the Pleiads are still believed by many people throughout internet. Obviouly he is crazy but not stupid. Interlocutor: Now I will move on to another contactee. I mean to Eduard Billy Meier. I suppose that this person contacted only through mediumship with spiritual entities and not with extraterrestrials. Interlocutor: Are the pictures he took of real UFOs? Ruanel: Some of them are real and others are faked photos. Interlocutor: Which are the real pictures? Ruanel: The real pictures are those of energy fields. Ruanel: There are extraterrestrial space ships that travel from one system to another with gravitational motors. From system to system they can travel using Worm holes but through gravitational contacts. Interlocutor: Are you speaking that depending on how they make work the motors, they are attracted by the planet they want to go to? Ruanel: Correct. Then, the silhouette of the space ship can be seen as an energy sphere, that is to say, not clear but blurred. The pictures of UFOs that this person took which are blurred are in fact the photos that were not faked. Interlocutor: Did Meier take the pictures by pure chance or the spiritual entities warned him somehow? Ruanel: In most of the cases they warned him in his causal body or body of ideas. Interlocutor: Not in their body of desires or emotional body? Ruanel: No, because in this case were the Spirits of Light those that communicated with him, not the spirits of error. Interlocutor: Did Meier communicate through mediumship with Spirits of Light? Ruanel: Only in the beginning, like the other contactees, Adamski and Siragusa. Ruanel: Not always is Ego. These people have so much avidity. Even my vessel sometimes has avidity, even being a Spirit of Light of the 5 plane! But the difference is that he doesn’t allow himself to be deceived. When a person “has it clear” - using a common expression - he doesn't allow himself to be controlled by his Ego or by the spirits of error, and as soon as he observes himself having thoughts of vanity, “he lifts the foot from the accelerator pedal” - I use a terrestrial sentence again - and then he calms himself and he reasons on what is certain and what is not. Otherwise, this vessel would even end up writing the same atrocities that Siragusa, Adamski, Meier and Sixto Paz Wells wrote, only to mention some of the well-known “contactees”. Interlocutor: With regard to Meier, Have ascended Masters also communicated with him? Ruanel: In these cases, in the beginning always contact important Entities of Light, generally very elevated. Interlocutor: Are we speaking of a great mediumship? Ruanel: There is always a great mediumship in the middle of these communications. Interlocutor: Returning againg to the pictures, all those photos of UFOs taken by Meier that are very clear, Are they categorically faked photos? Ruanel: Correct, it is very easy to recognize them. Interlocutor: Did he act alone when faking the pictures? Ruanel: Some of them were faked by himself and others were faked by accomplices specialized in photomontage. It is very easy to do it. Interlocutor: I don't need to ask you about the alleged picture of the “pleiadian woman” he exhibited, because we discovered that it was the photo of a very terrestrial dancer, although the face in the picture is not that clear. Ruanel: It will be very difficult to eradicate that idea from people who believe that “pleiadians” exist. It’s an entire invention, unfortunately the internet is full of these references. Interlocutor: Even though we are already revealing the truth? Ruanel: In spite of it, because 95% of the people continue believing that in the Pleiades there is a civilization. It is very difficult to cut this idea. Interlocutor: Excuse me for my insistence, but I want to clarify totally, without the slightest doubt. None of these people contacted personally and physically, with extraterrestrials of any kind? Ruanel: I affirm it to you categorically. In all the cases there is a common denominator: hallucinations, feverish mental decoder, Ego. Interlocutor: And spirits of error doing as they please. It is clear, Master, it’s not necessary more explanation. Ruanel: Add that calculating Ego that took advantage of the occasion and he made a business with all of this. Interlocutor: Who was the “contactee” that was more hallucinated? Ruanel: Adamski, but for a simple reason, he believed many things, on the other hand Meier didn’t believe everything. Ruanel: No, I mean that Meier was more cunning, less hallucinated, because he took advantage that he had some real photos of UFOs and he used them to make business abusing of ingenuous people. Interlocutor: Concretely then, he saw the reef on this to get fame easily and make money as well. Ruanel: Meier said to himself, “well, I have 10% of reality, and I’ll create the other 90%”. Interlocutor: Concretely, Adamski was, the most hallucinated person of these “contactees”. Ruanel: Correct, and in the end his decoder was so deteriorated that he didn't distinguish fantasy from reality. Interlocutor: Which was the hallucination of Meier concretely? I mean if he hallucinated to the point of believing he had physical encounters with extraterrestrials. Ruanel: No, not to that point. He was convinced only of the contact through mediumship. What he didn't know was that at the beginning he channeled Spirits of Light and after that to spirits of error who manipulated him. The Spirits of Light gave him conceptual messages, and they were so elevated that Meier took them as untranscendental. Interlocutor: I don’t understand. How he took the messages of Light as untranscendental? Ruanel: Sure, because he, like all or at least the immense majority of the incarnated beings, he was interested more on phenomenology rather than the fundamental truths of the universe. Meier was interested only on this, therefore the result was that he become an easy prey of the spirits of error. Interlocutor: Although you have told me that this person didn't hallucinate, at some point Did the spirits of error influence him to make him believe he saw extraterrestrial beings? Interlocutor: With space ship and everything? Ruanel: With space ship and everything. In the three cases of contactees we are seeing that this was the common denominator: all of them believed they were contacted physically with extraterrestrial beings, who descended from their space ships. Interlocutor: It seems incredible that the spirits of error can simply make something like that making focus. Ruanel: But it is very easy! The spirits of error make appear the image of the Virgin Mary  before the gullible eyes of people! Interlocutor: What about Siragusa? Was he cunning like Meier or tremendously hallucinated like Adamski? Interlocutor: Master, I believe that this issue about contactees is clear.